Dallas Morning News Praises Death Penalty Reforms in Platform of Texas Democratic Party Shame on Those Abolitionist Groups for "Throwing Mumia Abu-Jamal Under the Bus"
Dr. Benjamin Rush, a signer of the Declaration of Independence and founder of the Pennsylvania Prison Society, proposed the complete abolition of capital punishment. Rush’s opposition to capital punishment influenced the passage of a 1794 law that abolished the death penalty in Pennsylvania except for murder in the first degree. The abolitionist movement is rooted in the writings of European social theorists Montesquieu, Voltaire, and Bentham, and English Quakers John Bellers and John Howard. However, it was a 1767 essay, On Crimes and Punishment, written by Cesare Beccaria, which principally influenced thinking about punishment throughout the world. Beccaria wrote that there was no justification for the state’s taking of a life. The essay gave abolitionists an authoritative voice and renewed energy, one result of which was the abolition of the death penalty in Austria and Tuscany. Scholars in the United States were also affected by Beccaria’s work. The first known attempted reforms of the death penalty in the United States occurred when Thomas Jefferson introduced a bill to revise Virginia’s capital punishment laws, recommending that the death penalty be used only in the case of murder and treason offenses. Jefferson’s bill was defeated by one vote. Other challenges to early capital punishment laws were based on the idea that the death penalty was not a true deterrent. 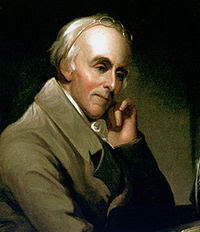 Dr. Benjamin Rush, founder of the Pennsylvania Prison Society, believed in the brutalization effect and argued that having a death penalty actually increased criminal behavior. Benjamin Franklin and Philadelphia attorney general William Bradford supported Rush. Bradford, who would later become the U. S. attorney general, led Pennsylvania to become the first state to consider degrees of murder based on culpability. In 1794, Pennsylvania repealed the death penalty for all offenses except premeditated murder.